It has been interesting to observe the debate about what today, 26 Jaunary, means for us as a nation and individually. It seems to be more and more contested each year, it can feel like we are getting further bogged down in positions that are too entrenched to change. But… the thing that gives me the most encouragement on this issue is that the contention around 26 January is now no longer an ignored niggle at the margins but has truly become a core question being debated each year and challenging the way we see ourselves as a nation. It is by no accident that, the rise of ‘truth-telling’ as an understood foundation stone of reconciliation means that every year, more and more Australians are open to thinking about our shared history with the First Peoples of this great Continent. It was in this context that I was thinking about how I participate in this great debate. I love this country of my birth. I listen to Archie Roach and other Aboriginal leaders speak about the deep connection to country and I have a sense of what he says. So remarkably in many ways, we have built a largely peaceful and prosperous country that is the envy of many. And yet, I can measure the blessing of my privileged life as a white, middle-income male in a society that has been built over 230 years to favour me. I don’t have to look too far to see the true cost of that privilege was born in the great dislocation of, theft from and murder of the First owners of the land. The thousands of frontier war deaths, the disease, the systemic policies that marginalised and divided and even commodified Aboriginal and Torres Strait Islander peoples since 26 January 1788. How do you reconcile this? How do we acknowledge the true history of this land since that date 231 years ago and the ongoing impact of that history whilst looking to celebrate all the qualities of our society that we have good reason to cheer? For me, this is an ongoing process. I participate when I am open to and listen to the many views of my Aboriginal and Torres Strait Islander brothers and sisters. I participate when I (gently) speak up, in truth-telling, about the rarely told story of the real impact of European colonisation. I participate when I go to Yabun today (come and say hello at the ANTaR stall if you are in Sydney!) and stand with First Peoples to acknowledge their hurt and celebrate their resilience, strength and integrity in survival. It is inevitable that one day we will find a day to mark a truly unified and reconciled Australia. We will one day deal maturely and sensitively with all the history that flowed from 26 January 1788, and 1 January 1901, and 27 May 1967… but until that day, I will continue to stand up and participate in the debate. Finally, 26 January each year usually marks the beginning of the next round of big words and promises from our Government about how they are going to serve Aboriginal and Torres Strait Islander peoples – and where we take stock of the new additions to the trail of broken or unfulfilled promises. I firmly believe that 2019 will be the most consequential year for Aboriginal affairs since 2007. The Federal Election likely in May this year will have serious ramifications for any number of critical policy issues. What will become of Closing the Gap, will we be brave enough to tackle once and for all Constitutional reform, will we supercharge the momentum for treaty making across the states and territories or will we kick it all down the road for the next generation? How you participate on 26 January, counts. 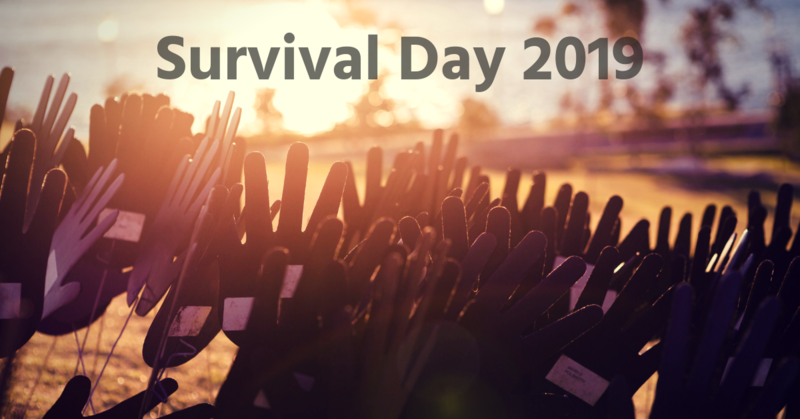 Attending Yabun or any other Invasion or Survival Day event counts. Speaking out against reactionary or racist comments at the weekend barbeque counts. Spreading the word and sharing with friends and family counts. Your support for ANTaR counts too, help us work side by side with our Aboriginal and Torres Strait Islander friends, family and partner organisations to advocate on these issues in 2019. Whatever you and your family are doing this weekend, we at ANTaR wish you well!